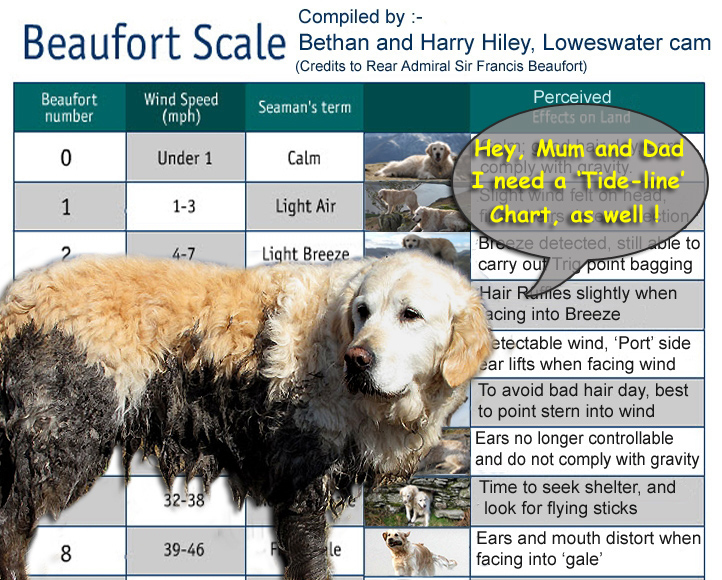 for an explanation of the Loweswatercam Beaufort Scale of wind strength. The Mountain Weather Information Service A great site with accurate day and three day forecasts for all upland areas. The Lakes Weather Line Now on the net, this is the National Parks forecast page incl winter conditions from Helvellyn summit. BBC Weather Centre Auntie's weather site for an overall picture, or the weather in your area. The Weather on-line Local and world weather information. All the extra detail you could need. Manesty Holiday Cottages - Borrowdale A great site for north Lakes weather conditions, archived weather reports and a live webcam. Metcheck Weather reports Check out the weather forecast for your area, your hobby or your sport. X C Weather Site Lots of interactive detail, enter the postcode for your own area. News and info on Space, Sun and North'n Lights. Space Weather , Aurora Predictions and Shetland Aurora Webcam plus its archive. The above links are provided for information only. We accept no responsibility for their accuracy or advice. 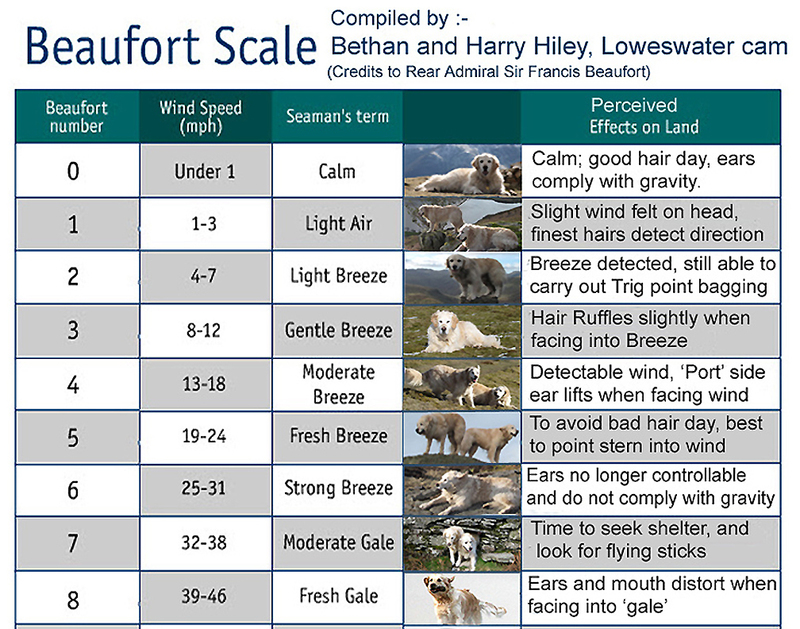 For those that can't cope with the normal explanation of wind speed, please feel free to study the chart below and adapt it for your own use. and credit to Rear Admiral Sir Francis Beaufort for the initial concept.